Please enjoy ARK Disrupt Issue 93. 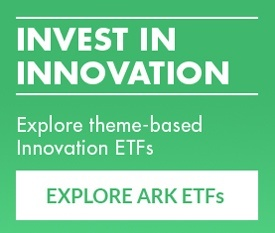 This blog series is based on ARK Brainstorming, a weekly discussion between our CEO, Director of Research, thematic analysts, ARK’s theme developers, thought leaders, and investors. It is designed to present you with the most recent innovation takeaways and to keep you engaged in an ongoing discussion on investing in disruptive innovation. To read the previous issue, click here. 1. If Tesla Is Working With AMD, What Will Be The Impact On NVIDIA? This week we learned that TeslaTSLA is working with AMD to create a custom chip for autonomous driving. This news is not surprising for two reasons: first, in 2016 Tesla hired Jim Keller, a renowned chip architect who had worked at both AMDAMD and AppleAAPL, and second, Tesla has made no secret of its intention to move toward vertical integration. 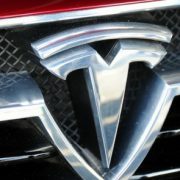 Tesla probably will replace NVIDIA’s DrivePX2 with its own chip. DrivePX2 is easily accessible from the passenger dashboard, making a potential swap both simple and quick. This week, in perhaps another challenge to NVIDIANVDA, Alphabet’s WaymoGOOG confirmed that it has been working with IntelINTC, since 2009. Intel may be more of a supplier than a collaborator, as Waymo intends to make its own compute hardware as well. While NVIDIA’s DrivePX is unlikely to be included in the two most advanced autonomous platforms in the US, Asia is the bigger opportunity. Because the market for autonomous taxis seems likely to submit to natural geographic monopolies, DrivePX could dominate in the much bigger Asian market as the central nervous system of autonomous vehicles. Partnered with BaiduBIDU, NVIDIA is permeating both Chinese and Japanese autonomous ecosystems, as Chinese auto manufacturers and Toyota seem to be prioritizing speed to market over proprietary autonomous hardware. In Nature this week, UC Berkeley scientist Jennifer Doudna presented an enhanced CRISPR-Cas9 system with the lowest off-target gene editing rates to date. Known as CRISPR-hypaCAS9, this “bio-safety lock” will enhance the safety profile of gene editing significantly. For background, CRISPR edits the genome in two stages. First, a guide molecule finds a DNA mutation in the genome. Then, another molecule cuts the mutated DNA to allow for correction. Recently, Professor Doudna isolated two of the proteins responsible for activating the cutting function. When one protein receives a signal that CRISPR has located the correct target sequence, it activates a catalytic protein to direct the DNA cutting. Now, Doudna’s team has re-engineered these two proteins, adding “proofreading” to the CRISPR system. The first protein acts as “spellchecker” to confirm that the targeted sequence is correct before CRISPR can edit it. If the targeted sequence is not correct, the bio-safety lock will prevent the Cas9 protein from activating, reducing off-target outcomes dramatically. The UC system is in an intense race against the Broad Institute consortium to secure CRISPR intellectual property rights. While Professor Doudna’s discovery could give the UC system a competitive edge, we are encouraged by discussions taking place about standards and cross-licensing. Powering the latest iPhones, Apple’s new A11 Bionic chip smokes the competition. According to benchmarks released by Tom’s Hardware, the A11 chip is almost twice as fast as Samsung’sSSNLF flagship offerings. Even more remarkable, it is faster than the Intel Core i5 CPU that powers laptops like the Macbook Pro. Given the history of Apple and the broader semiconductor industry, this milestone is startling to say the least. In the 90s, Apple’s CPU performance chronically lagged Intel’s, so much so that in 2005 Apple finally gave up on its IBMIBM PowerPC based architecture and switched over to Intel CPUs for its desktops and laptops. In mobile, the story has been much different. Apple acquired PA Semi, a semiconductor startup focused on power efficient chips, for $300 million in 2008. While not perceived as a big deal at the time, in hindsight that acquisition was one of the most important in the history of the mobile industry. PA Semi provided Apple with the chip design expertise to build SoCs (system on chips) that leapfrogged competing offerings from Samsung and Qualcomm, differentiating the iPhone from other smartphone makers. Apple’s success in chip design has defied the conventional view that a horizontal component supplier like Intel would maintain its competitive edge thanks to greater scale in production and R&D. Now that its CPUs, GPUs, AI processors, and wireless chips are designed in-house, Apple’s products are more differentiated than ever. This month, in response to the booming interest in digital currencies, two Japanese tech companies made announcements about bitcoin mining operations. GMO Internet Group and DMM Group started investing in mining operations and intend to mine bitcoin in 2018. 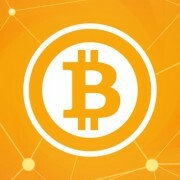 Both companies were among the first to validate bitcoin as part of their core businesses in Japan. DMM Group, an e-commerce and entertainment company, started accepting bitcoin payments in March, 2016, and GMO launched a digital currency exchange in 2017. Given China’s recent crackdown on bitcoin exchanges and ICOs (Initial Cryptoasset Offerings), Japan’s validation of the space is important. As of now and as shown below, mining pools in China still control more than 50% of the bitcoin hash rate. As a result, activity in other geographic regions must step up and fill the void left by China. 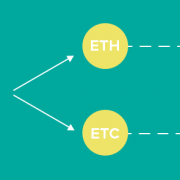 In the long run, mining participation from other countries like Japan and Russia will be necessary to add balance to Bitcoin’s decentralized ecosystem, securing the network. Why Autonomous Electric Trucks Are The Future Of Shipping GPUs vs. TPUs — Can NVIDIA Hold On To Its Lead?